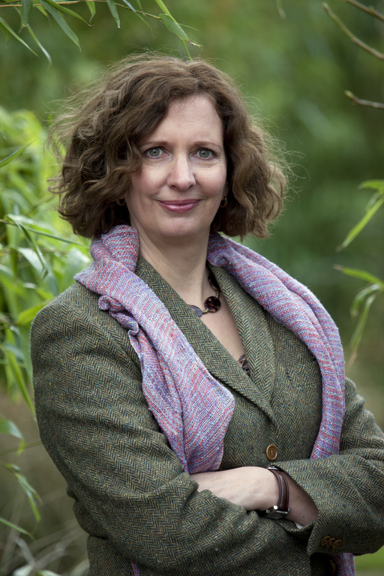 I’m Jane Powers, a garden and nature writer living in Ireland. I also take photographs. I work for various publications, both in Ireland and the UK. I am the gardening correspondent for the Sunday Times in Ireland, where I contribute a weekly column. I also write the daily (Monday–Friday) “Nature Notes” column in The Times, Ireland edition — you’ll find that on the letters page in the print edition and also online. My second book, The Irish Garden, was published in 2015. All the photography in it is by my husband, Jonathan Hession. The book won the UK Garden Media Guild’s “Inspirational book of the year” award. My first book, The Living Garden: a place that works with nature, was published in April 2011 by Frances Lincoln. I visit other people’s gardens both for pleasure and for work. I’ve judged gardens for competitions and I was an inspector for the Good Gardens Guide, an independent and well-respected guide for garden visitors to the UK and Ireland — now, sadly, no longer in print. I was the Irish Times‘ gardening correspondent for nearly 15 years. I am a member of the National Union of Journalists (NUJ) and the UK Garden Media Guild. The name of this blog, One Bean Row, is inspired by Yeats’ poem The Lake Isle of Innisfree, and its much-quoted line: “Nine bean rows will I have there, and a hive for the honey bee”. Although Yeats wanted nine rows of beans (which makes me think he’d never actually grown a bean), for me one is plenty. I wish you all the luck with your new projects. I have been inspired to create a flower garden a veg garden apolytunnel with peaches and asparagus as my main successes, a fruit cage, an orchard and a woodland area (the latter is mostly my husbands work! ), all on an acre, which I am personally thrilled with because I have had candida causing migraines and fibromyalgia and it has been an adventure which you have encouraged.. He never grew a bean? I always knew he was full of it. Hi Jane, I have really enjoyed reading and looking at “The Irish Garden” and know I will be dipping into it often in the future. The photography was so beautiful and the history of each garden was fascinating. So much research! I was ignorant of the existence of many of the gardens that featured. When I lived in the UK I was a regular National Trust garden visitor, back home in Ireland there is so little unified garden visiting promoted. The only ones I have visited in recent years are Kylemore, Brigit’s Garden and Fora. I live near Cong in County Mayo and spent a lot of time strolling round the grounds of Ashford castle and the shores of lough Corrie. I hope over time to visit all the beautiful gardens you feature in the book. I am marvelling at the herculean efforts and visions of many of the gardeners you featured, in particular Lorna McMahon’s Ardcarraig…it has given me the courage to keep going with my own garden. Thank you! I’m so glad you are enjoying the book. All those years that we spend working on it (and procrastinating!) are worth it when I read comments such as yours. I hope that you are able to visit some of the gardens in it. our autumn gardens are still looking stunning, particularly our prairie garden. We would like to invite you out to see them. You’d be welcome to take photos for your articles. We can send you some photos if you’d like. You can call me on 0868076903. You claim that your procrastinated before writing ‘The Irish Garden’! Well, I’ve procrastinated for a whole year before acknowledging my delight at reading and re-reading your beautiful book! It was a birthday gift from our two daughters and I’ve been enjoying it ever since. Many of the gardens I know well. Fota is only a twenty minute drive so we visit the Arboretum frequently. Daphne Bholua ‘Jacqueline Postill’ is scattering her captivating perfume widely at the moment! Garinish Island has always been my idea of heaven – even though it can look a little sad on occasions. I am ashamed to admit that we have never visited the Ballymaloe and Shanagarry gardens – must put it on my bucket list! Incidentally, I’m a little confused by your claim that Ballymaloe means ‘old garden’in Irish, sean garrai. Should that not apply to Shanagarry (sean garrai) rather than Ballymaloe? Whatever!! Our favourite garden visit of 2016 was Kells Bay Garden, long postponed. Challenging (at 87!!) but well worth the visit. Even though it was October we were lucky to be there on a beautiful day and enjoyed it so much. So thank you Jane – and Jonathan too! – for the pleasure you have given and the challenges you have presented for 2017 and beyond I have always enjoyed your writing style so ‘The Irish Garden’ will continue to be a pleasure to dip into.